There are some great dive highlights to enjoy during April, including making the most of the Maldives before the wet season begins. It is also a good time to explore the Red Sea before air temperatures become too hot. The dry season is well underway in Belize and April offers the best weather conditions and visibility for some of Belize’s top wall and reef dives. Fans of whale sharks won’t be disappointed, with April being a great month for whale shark encounters. These giants are usually found in the deeper water just before and after the full moon. Manta ray season is just beginning in Egypt and large pelagics can be spotted at deeper, pinnacle dive sites. Divers may see hammerheads and oceanic whitetips at some Red Sea dive sites in April. The Maldives is well worth visiting to take advantage of the dry season and calm seas it offers. It is possible to dive the Maldives year-round to enjoy manta rays and whale sharks, but the dry season is best for good visibility and perfect topside weather. 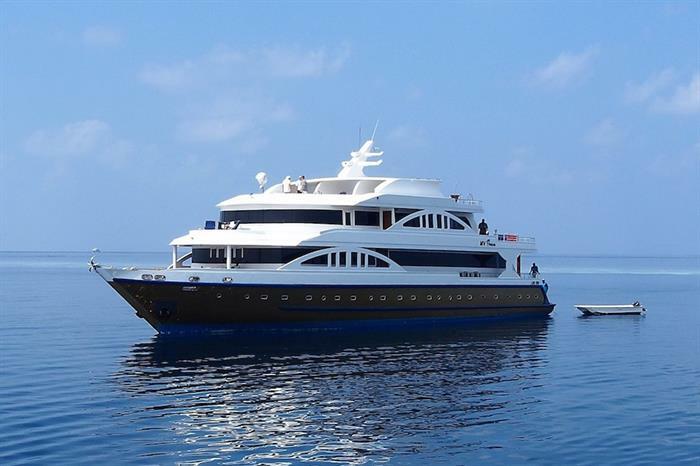 The Emperor Orion Maldives offers a 7 night Best of Maldives liveaboard itinerary throughout April. The Seychelles is another great April highlight to consider. More information about these destinations and what to see this month can be found in Best Places to Dive In April.